This is the ninth article in our Manifesto Review series, where we review the tenures of IITM’s Executive Wing (consisting of 10 posts) as well as that of the SAC Speaker, for the year 2015-16. In this review we evaluate the manifesto of Saikanth Dacha, IITM’s Student Head of CFI for the year 2015-16. Note: The Manifesto Reviews team at T5E has made every effort to review the Executive Council in an unbiased manner and stay true to the facts, but it is possible that we may have made inadvertent errors. We request our readers to point out errors if any so that we may correct them immediately. Finally, we value your feedback! You can reach us at t5eiitm@gmail.com. CFI is the place where insti’s Ranchos, so to speak, live and breathe. Running this bustling beehive smoothly, keeping the spirit of engineering high and raising the bars even higher is the job of the Student Head of CFI. Unlike candidates for other secretary positions, the CFI head is selected by the faculty advisor of CFI. The selection process entails a Google form application followed by a personal interview by the faculty advisor. Saikanth Dacha was appointed as the Student Head of CFI for the year 2015-16 after this application and shortlisting procedure out of five aspiring candidates. Saikanth says that the desire to give back to the place which has molded him was the main reason that he took up this post. His vision was to make CFI, a place beloved to him, a better place for his juniors to work in. In this article, we review his overall tenure and the initiatives taken by him. The quality of the project proposals were not satisfactory as participants were mostly freshers. Several redundant proposals were received. Project progress monitoring and participant mentoring was found to be less effective. Each club announces a diverse set of project ideas. The experience of the club members ensures quality of ideas. Participants who choose to work on the same proposed idea are teamed together and work under the guidance of the respective clubs. Self-proposed projects are invited too. The participants who choose to work on self-proposed projects are guided by CFI’s Project Management Team. These changes have been quite successful in streamlining the project selection process. Handling project requirements end-to-end, including finance and mentorship. Reviewing progress of projects; identifying hurdles and incorporate system changes in club functioning. Identifying collaborations with external organizations for mentorship and funding. Maintaining technical blog for updates regarding projects/clubs/competition/startups, etc. Helping teams convert projects and prototypes into products based on the market requirement. Improving the quality of problem statements is a continuous process at CFI. The Club Heads’ proposed projects at the Summer Innovation Program leveraged their experience and exposed students to higher level problems. Around 51 proposed project ideas were selected into the CFI Projects Program, and among these, 28 were completed successfully. 2 projects were initiated into Nirmaan and 2 projects had filed for patents. Given that project completion at CFI always boils down to the students level of enthusiasm, a success rate of 28 on 51 (approx. 55%) is a very healthy indicator of the project management team’s performance. Last year saw the formation of two new clubs, namely the Physics Club and the Social Entrepreneurship Club. Many of the other clubs are quite new too. Clubs require considerable growth time before startups of the likes of HyperVerge can come up. Improvements in this area are primarily for the long term. Involving more PG/PhD students to improve problem statement quality. CFI sessions were publicised in PG hostels too. CFI was introduced during the Research Scholars’ Orientation Day. Competition teams like Raftar had done publicity stunts in the hostel zones. This helped capture PG students’ interest. Projects were publicized among related research groups. For the first time, PG students were made part of the core team. Interestingly, both the new and key departments (Project Management and Media and Outreach) were handled by two heads each, 1 UG and 1 PG student. Saikanth justifiably believes that seriousness of the students involved is a crucial ingredient in the quality and success of a project. He opposed suggestions of introducing monetary incentives like cash prizes and believes that they would not befit the culture of passion which CFI represents. Alumni relations, visits, updates via NL, etc. Running the CFI Patrons fundraising program through I&AR. New initiatives like virtual lecture series, collaboration with non-institute research laboratories, etc. Publicity of events and workshops within the institute. Facebook, Twitter, YouTube and CFI website updates. Quality management of club sessions. Institute surveys and planning of sessions based on the interests of institute students. Media interaction was successfully handled by the new team at the CFI Open House on 31st October 2015. Specific coverage for selected individual projects was arranged for the first time. The Dean IAR was briefed on the necessity for alumni funds for CFI by the end of the last semester. After consulting with the Dean IAR and Mr.Suresh from OIR, a plan has been drafted to conduct a full fledged PR drive to promote CFI among senior alumni and raise funds for CFI. The drive would be conducted in the next CFI head’s tenure. CFI is primarily funded by the Gymkhana Office and ICSR’s Project Funds which are from alumni. But recently CFI has been running short on alumni funds which prevent it from completely funding TAs and making large infrastructure purchases. This should be sorted out once the plan is implemented. Initially, a plan to construct a new floor inside CFI to increase workspace was proposed. Alumni had even offered to fund the project up to Rs 80 lakhs. However, due to difficulties such as improper ventilation, aesthetics and others it was decided to get extra space in the workshop instead. This space would be utilized as an air-conditioned presentation room. These infrastructure changes were planned in coordination with the Dean (Students) and Prof. Ravindran (CFI Faculty Advisor). DoSt and Engineering Unit had approved it in the first week of May but construction is yet to commence. The construction should ideally be completed within this year as per the Engineering Unit’s scheduler. 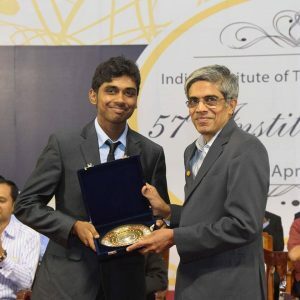 The Inter-IIT Tech Meet falls under the responsibilities of the Co-Curricular Affairs Secretary, but the CFI Head had also contributed significantly in the participation of IIT Madras at the Meet this year. 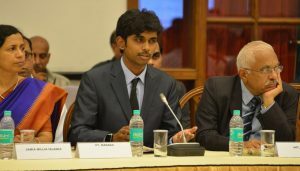 Prior to the event, both represented IIT Madras in the discussions at the Inter-IIT Technical Council regarding the type of events to be held at the Tech Meet. 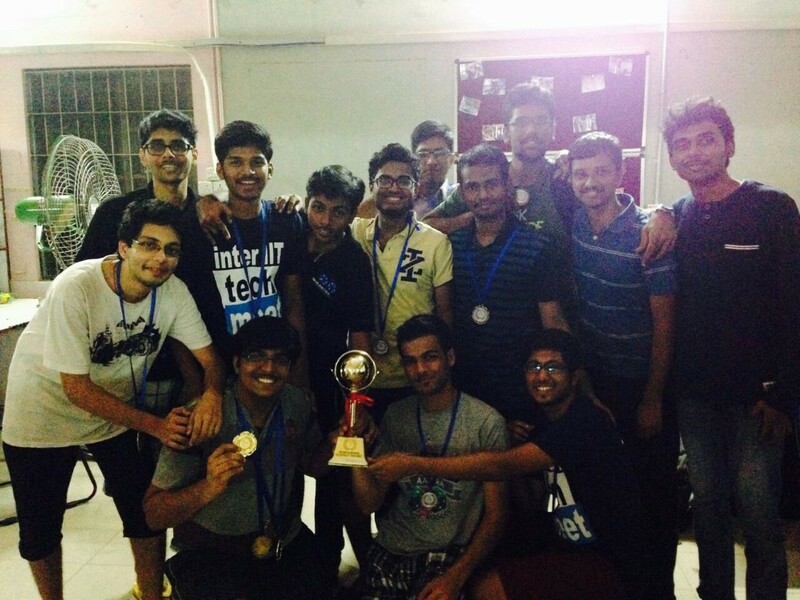 The teams which represented IIT Madras at the Tech Meet were selected by the CFI Core Team through different clubs. The December Chennai floods and Shaastra’s postponement to 26th January created a time crunch. Even with the deadlines constituting tight constraints, the teams had put up an exceptional performance at the Tech Meet. IIT Madras participated in 7 events and won medals in 4. Our teams had won the gold at the Internet of Things (IoT) event and bronze at Social Media Analysis, Product Exhibition and Portfolio Defender. 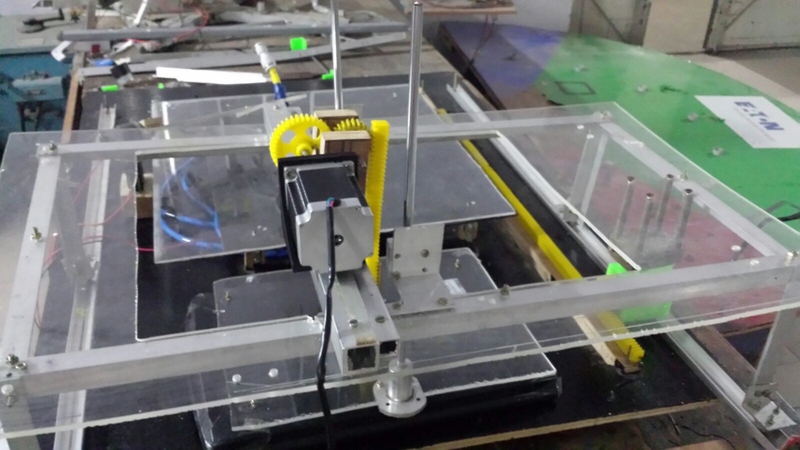 The project which they showcased, Home Automation System, was initially started as a CFI Club project under the IBot club. This goes to show the quality of the projects undertaken at CFI. The Co-Curricular Affairs Secretary and the CFI Head negotiated for the travel allowances for the teams with the Dean of Students and procured funding for one way air travel for selected members of each team. 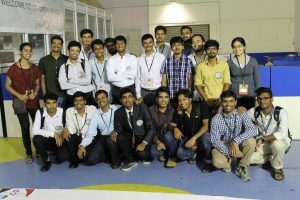 Overall the 4th Inter IIT Tech Meet was a heartwarming success for CFI and has boosted the tech morale of insti at large. No flood or storm can dampen insti’s tech-spirit and Shaastra 2016 was a testimony to this fact. CFI put up its exhibition this year during Shaastra. “This had a double role, it showcased CFI at Shaastra and complemented Shaastra’s other exhibition programs” said Saikanth. CFI club heads and members actively helped the Shaastra Workshop team in conducting the workshops and they fitted in the shoes of teaching assistants during the workshop courses related to their parent clubs. Envisage is the Shaastra team which works more closely with CFI. CFI provides all the facilities and workspace for the team. “It’s practically the same people, the Envisage team has a lot of active CFI club members” said Saikanth. 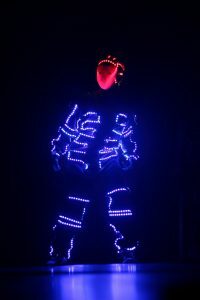 This techno-entertainment event is a star attraction at Shaastra and Envisage 4.0 has just set the standards even higher. The CFI Core team has proposed to integrate Envisage with CFI under a new club, the Techno-Entertainment Club. Envisage related project works could then be efficiently undertaken with the support of CFI’s existing project management team. Finally, CFI also hosted Shaastra’s flagship event, the Makers’ Summit, this year. CFI took care of the facilities and requirements for the summit and lent out its 3D printers and other infrastructure. CFI Open-House is the best shot for CFI to grow its contacts, and visibility and leveraging is of paramount importance. Apart from showcasing projects, the Open House also sees the annual CFI Alumni Meet. 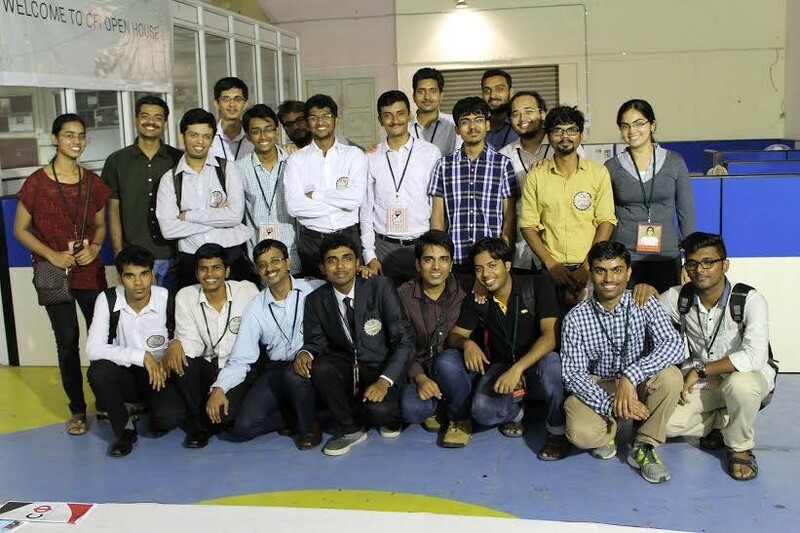 This year’s meet was the second to be convened and it saw 15 alumni from the 2008 batch onwards taking part. The Dean of Students, Dr. Mahesh Panchagnula (ex Co-Curricular affairs advisor), Dr. Arokiarajan (present Co-Curricular affairs advisor) and the CFI Core team discussed the ideas for the future of CFI with the alumni. Many of the alumni from post-2008 batches, “CFI Alumni” as they are fondly known, are budding entrepreneurs currently. Makeystreet is web start-up founded by Alex J. (IITM ED 2012) and Siddardha Garimella (IITM CS 2012) which makes software tools for product design companies. They have proposed to help CFI in getting visibility in the makers community through their start-up contacts. CFI Industry Meet was a new initiative taken this year in similar lines to the Alumni meet. Industry members within the current contact database of CFI-ICT (Industry Connect Team) and I&AR were invited to the open house and for the meeting. 12 companies including Philips, Agarwal Eye Hospital, and other Chennai based small manufacturing companies had attended the meet. The discussions were on what kind of skills and projects industries expect and about intellectual property issues. CFI is yet to take up industry sponsored projects and this meet was aimed at facilitating that. Club members have been sent as interns to the companies in contact with ICT in the past. A Festival of Innovation is organized annually by the President’s Office in collaboration with the National Innovation Foundation in a bid to boost innovation at the grass root level. 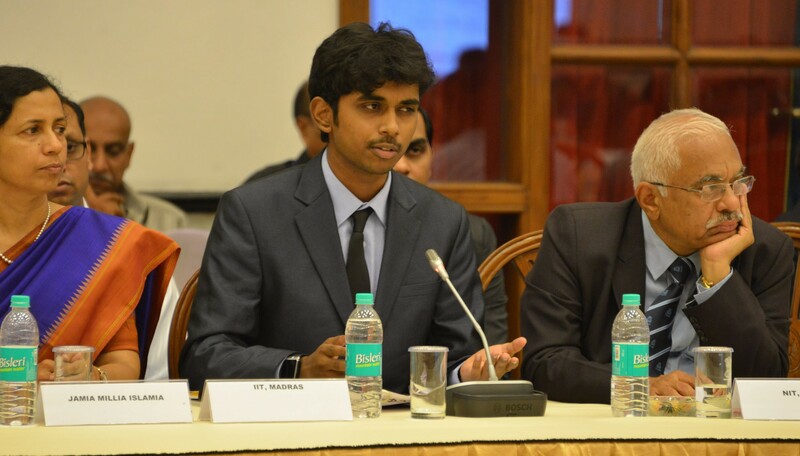 As a part of the weeklong festival held at the Rashtrapati Bhavan from March 15th 2016, a meeting of Innovation Clubs from all national universities was convened. 6 national clubs among the 70 which had participated in the conference were given the opportunity to present a poster about their clubs. Saikanth represented CFI on behalf of IITM at the conference and presented a poster showcasing CFI, its visions and its achievements. The presentation also touched upon the structure of the Project Management Team, CFI’s role in IITM’s start-up culture and Vistaar, a program in which CFI helps other universities in setting up innovation centers. The presentation was well received by the audience which consisted of Secretaries of the President’s Office, students and faculty members from other universities and IITs. 7 universities approached Saikanth after the presentation to be a part of Vistaar. Saikanth said that “CFI got the recognition which it rightly deserves” at the event. Started nearly 2 years ago, Vistaar is a CFI outreach program which aims to help other universities and colleges to set up student innovation labs in lines of CFI. CFI has been mentoring NIT Trichy and SGS Nandhed for nearly a year now. Saikanth’s tenure saw the initiation of IIT Palakkad, IIT Tirupati and Andhra University in the Vistaar program. 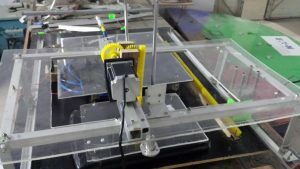 At IIT Palakkad, the interactions are restricted to helping faculty members set-up the lab as students are currently just in their first year. Vistaar is handled by the media and outreach team and official signing of MoU and Terms and Conditions of Collaboration with partnering institutes are underway. “Our club heads will initially make visits and conduct sessions on both the technical and the practical aspects of running a club there.” said Saikanth. On being asked to highlight his key contribution to CFI , he mentions introduction of a proper structure in doing CFI projects. He says “It is coherence. Coherence on what CFI aims to achieve and how. We now know the optimum way of running a club . Clubs need to build-on their work step by step instead of offering random projects. Now that we have worked out a coherent framework for doing projects and discussed it with the next team, things will be smooth. We have made a lot of structural changes in the management and the next team is likely to stick to the present structure”. Overall, Saikanth’s tenure at CFI has been very productive and inspiring. We congratulate Saikanth on the successful completion of his tenure. We also welcome CFI’s new Head, Hari Venkat Kiran and wish him all the best for the year ahead.